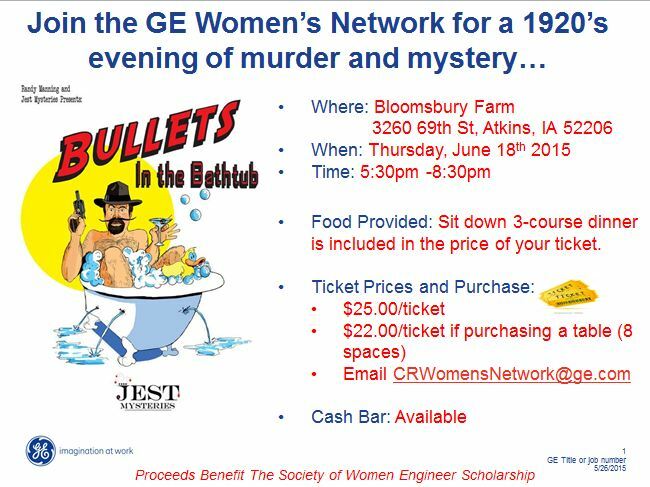 Join SWE-ECI Thursday June 18th from 5:30-8:30pm for GE's Murder Mystery Dinner Fundraiser. 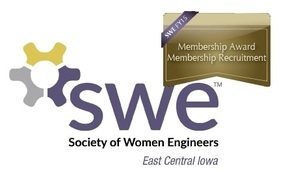 GE will be raising funds to sponsor a National SWE Collegiate Scholarship. SWE-ECI sponsored a table that is now full. You are still welcome to join us by signing up for your own seat! See flyer below.